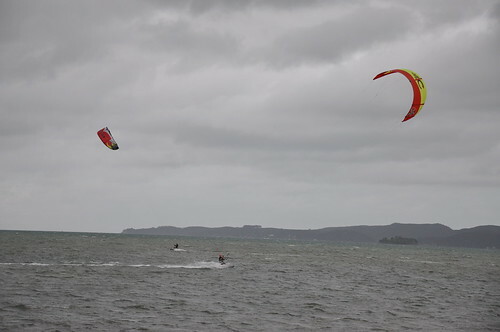 One of the key things Rob was looking forward to about going to NZ was kitesurfing with his brother. 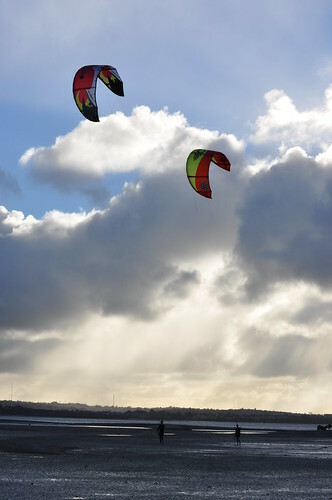 The winds in Melbourne are great for kitesurfing, but its always better if you’ve got a buddy to go with. The boys went out both at Pt Chevalier and at Snell’s Beach. 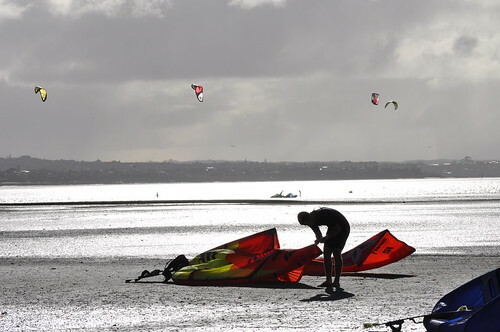 Was pretty neat conditions at Pt Chevalier when we went down. The tide was so far out, but there were dozens of kites out. It took the boys a 10 full minutes to walk all the way to the water, but they got a good run once they were out there. The boys might’ve been too far away to get pictures of the actual surfing, but at Snell’s the water was right up close. 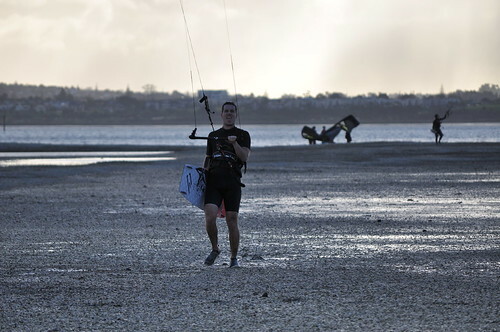 Rob is quite nifty with his kite, and does lots of jumps and such. However, I barely got a single successful snap. These were the closest I got, and the wind died in the attempt.